The day did not start off well. About 20 minutes before my alarm was due to go off, I woke suddenly to buzzing around the room. Katia woke with a yelp as well as we tried to determine what was going on in our sleepy states. We had left the windows cracked overnight as it had been SO hot in the flat when we’d returned the previous evening. It appeared that a large SOMETHING had come into the flat, done a lap and was now perched on the window behind her sheer curtains. After some hushed, tense discussion, Katia bravely opened the window all the way in the hopes that the SOMETHING would fly out. We tried to get ready for the day, while keeping on eye on the window and its SOMETHING. Finally, about 10 minutes before we had to leave the flat to catch the bus, the SOMETHING left her flat via the open window! I suggested that we leave all the windows totally closed all day because I’d much rather come home after a long day in London to a hot flat than one invested with SOMETHINGs. Katia agreed and we checked all the windows and surrounding areas for flying/buzzing creatures before locking up the windows and heading on our way. I had not been looking forward to another early morning, but that incident definitely got my blood pumping! Even with all the excitement, we easily caught the 0850 bus to the train station. After the leisurely pace of our weekend travels, the London commuter crowd was back, so we grabbed the first two seats we could find on the 0920 train. Katia’s seatmate spilled his coffee as we were leaving Cambridge, but luckily managed not to get any on her. 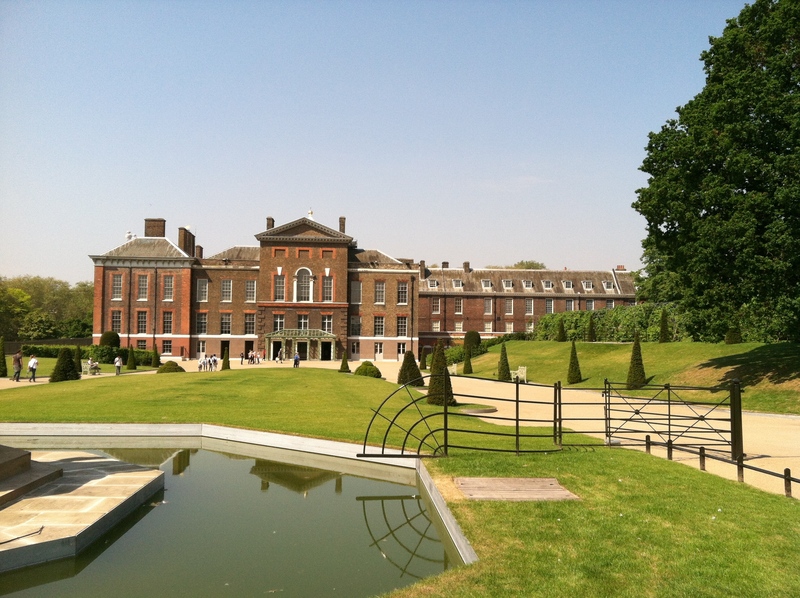 From Kings Cross, Katia got us on the Central line to Queensway and we had a nice short walk across Kensington Palace Park to the main attraction – Kensington Palace! This was much appreciated as my shoes were already giving me blisters and it was only 1030! Kensington Palace had re-opened about a month prior after some extension restoration and renovations, so I was excited to see what they had done. I had been bummed that Buckingham Palace is only open in the summer, so I would miss it, but I thought that Kensington would be a nice substitute. Among other things, it was the primary home of Diana, Princess of Wales and the two Princes when they were little. When I read that they had created an exhibit for Diana (of whom I was/still an enormous fan), I was like a little kid at Disneyland! 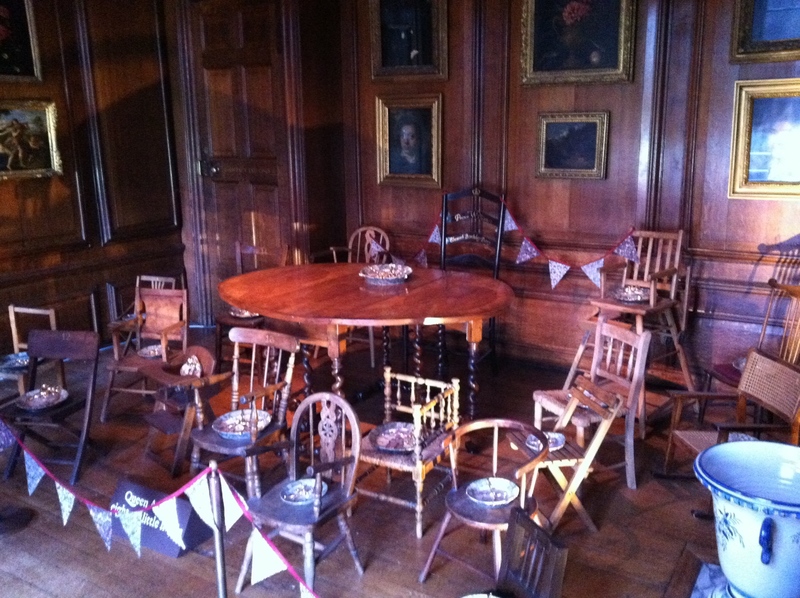 Symbolic chairs for “Queen Anne’s Little Hopes” – the 18 children she birthed who all died before adulthood. 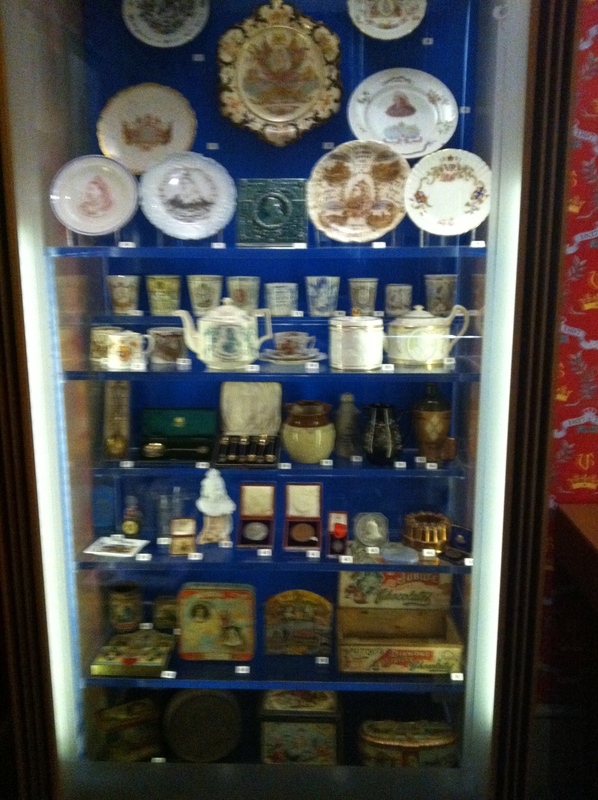 The Palace is divided into four main exhibits with an additional exhibit about Victoria’s Diamond Jubilee. Katia and I went in chronological order through the exhibits, starting with the Queen’s State Apartments. Having just been at the Royal Pavilion the day before, I admit, my expectations were rather high. And I was in for quite a disappointment. In the best case, the rooms in the Queen’s apartments looked like the Haunted Mansion at Disneyland, full of anachronistic furnishings, technology and NO history signage, giving us ANY information about what the rooms were used for or who had used them. There were “whispers” of information if you sat on the correct window seat and fake newspapers/pamphlets that had some information, but they were had to find and read. We could take photographs inside, but no flash was permitted. Which would be fine, except as you went further through the apartments, the light got dimmer and dimmer until the final room was almost completely dark with some crazy interpretive family tree that I could hardly read, much less take a picture of. The King’s State Apartments were next and they were even more bizarre. Mostly large rooms devoid of any furnishings, much less period furnishings. And there was a card game we were supposed to be playing through the exhibit, but neither Katia nor I could figure it out. There were a few period costumes and some unfortunate costumed reenactments, but again no signs or other helpful history information about the rooms we were in (aside from the map we were given at the ticket desk). My feet were killing me (I have since ditched those shoes completely!) 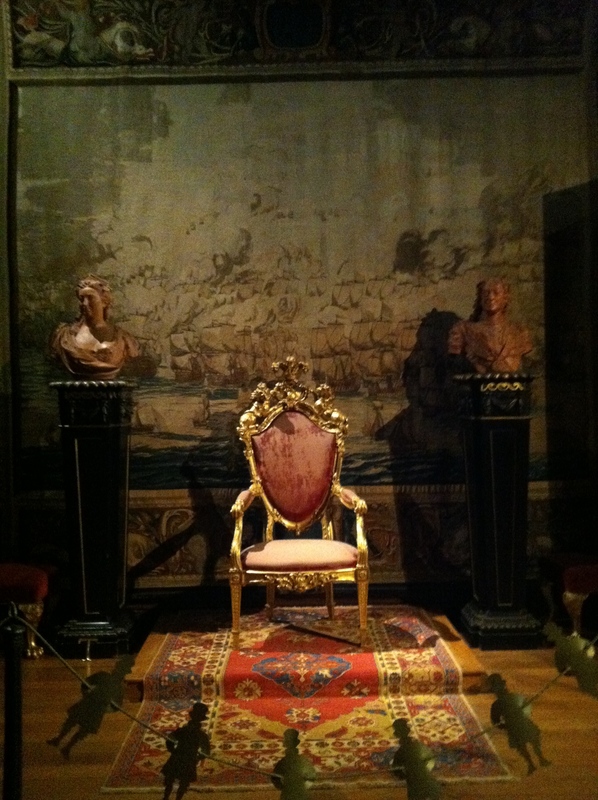 and I took every opportunity to sit down as we made our way through the Victoria exhibit. 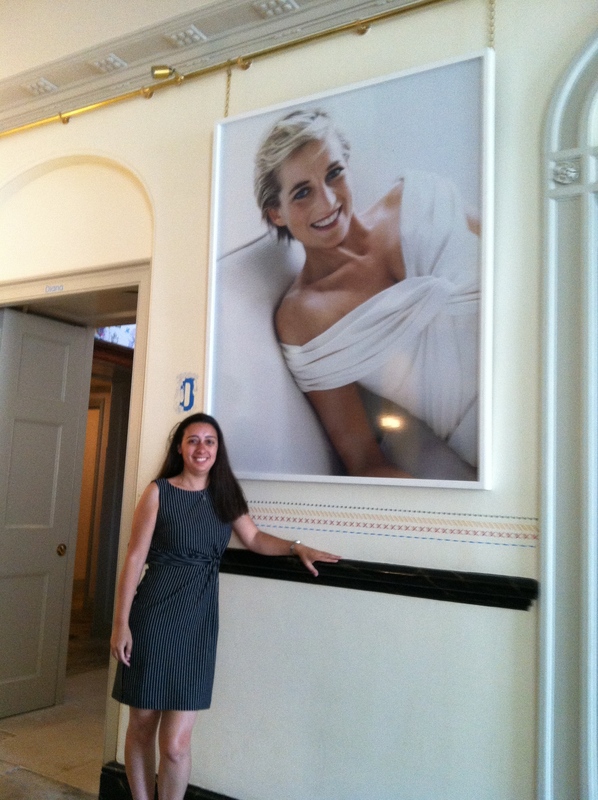 But I was chomping at the bit to see the Diana exhibit and Katia was kind enough to put up with my exuberance. I should have known there was trouble when you had to walk past the toilets and the housekeepers closet to reach the exhibit. 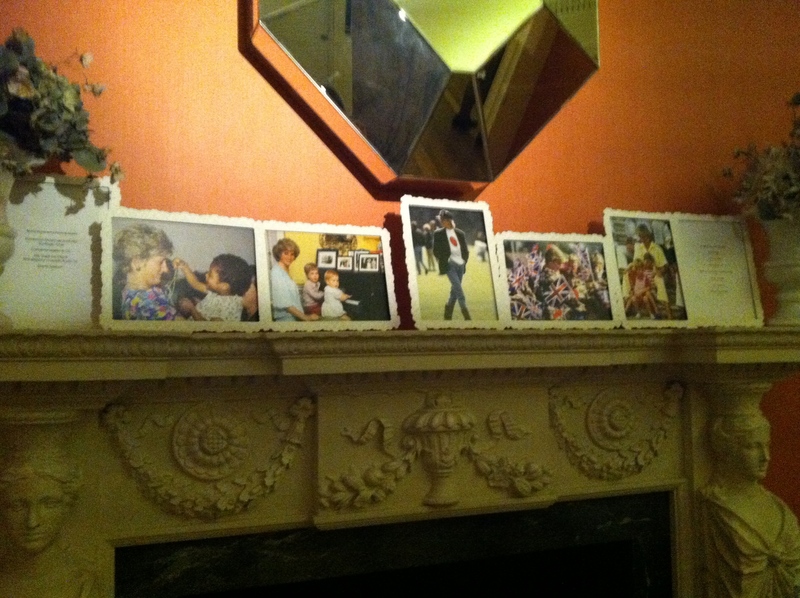 It turns out that the Diana exhibit is actually just the display of FIVE of her “iconic” dresses as well as a mantle with photographs of her with the young Princes. I will not proclaim to be the most avid Diana fan in the world, but I think that “iconic” is stretching the truth when you actually see the dresses chosen. I only recognized one: the fabulous Versace LBD she wore to the London premiere of “Apollo 13.” I understand that Diana was no longer a member of the Royal Family upon her death and there was definitely bad blood between them. But I was supremely disappointed at the content of the “Diana exhibit.” It was the one and only time that I was disheartened by an experience in London. Next time, I’ll save my GBP for Buckingham Palace or Hampton Court Palace. Following the Diana exhibit, we ventured to the gift shop where I purchased some last gifties (grad present for my cousin, etc) and we had lunch in the small cafe. 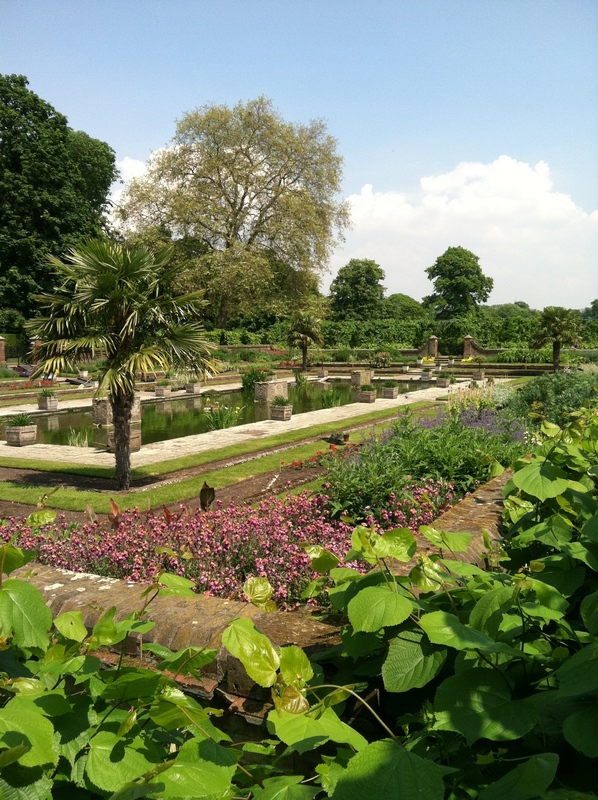 We walked back to the Underground station through the Palace gardens which were absolutely divine! I definitely WILL come back to the park and lake because it was so serene and calming, two things I was lacking during my self-imposed jampacked itinerary! We hopped back on the Central line and took it all the way to White City. 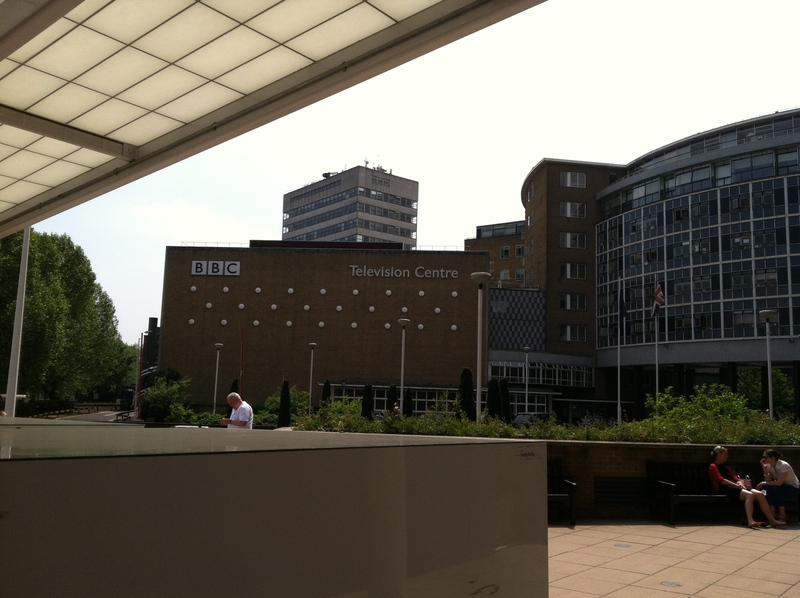 Thanks to Katia’s keen eye, we made it successfully to the BBC Television Centre without getting lost. (I totally would have sent us the other way!) Our tour group was made up of two German tourists about our age, Katia and myself and a group of teenage schoolgirls with their teachers. Our guides, Rachel and James, quickly found out that the teens didn’t really watch anything on the BBC except for The Voice UK and definitely don’t watch the news. While the girls were taking group photos next to the The Voice UK standee at the start of the tour, James asked me how I had found out about it; I told him I used to work in television, so I like to visit different studios when I’m on vacation. From then on, he made sure to chat with me as we walked from place to place, giving me extra history and factoids about the building, clearly delighted to have someone on the tour who gave a crap about it. The tour was pretty standard for a television studio. They showed us the artists entrance and a green room. We did the requisite green screen demonstration with one of the teenagers acting as a “weather presenter.” We saw a working soundstage and an empty one. Katia not owning a TV and me not living in the UK, we weren’t really familiar with the show and celebrity references bandied about during the tour. However, when they gave us a bird’s eye view of the working soundstage, it looked familiar. Turns out, it’s the set of the crazy game show Katia and I watched on my first night in Cambridge! We were allowed to take photos during most of the tour, which is something I’m not used to from the US tours. And as such, I just never really thought about taking too many photos. Also different was the way that the tour guides were allowed to name check celebrities who had behaved badly/strangely at the BBC. I got further confirmation that Jennifer Lopez is THE WORST and Prince is a strange, strange man. Slightly awful, though, was having to explain to the teenagers who Prince is. That made my heart hurt. 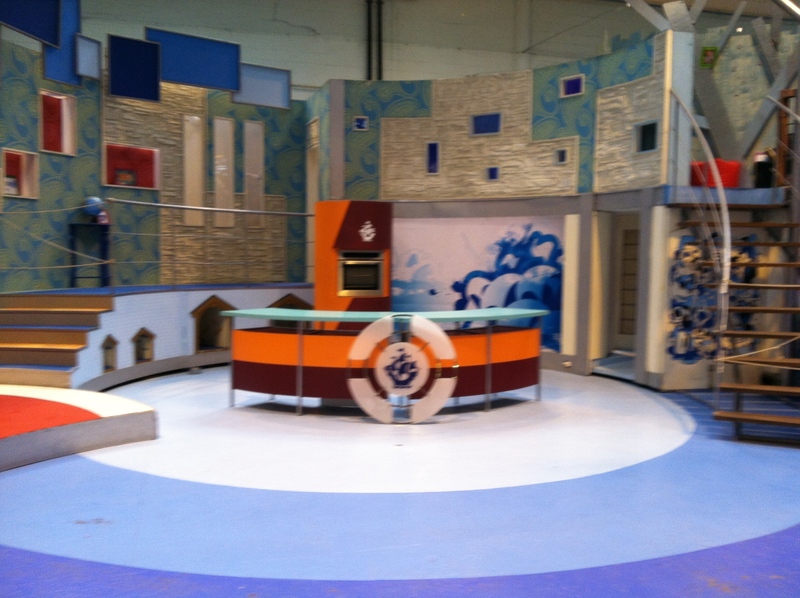 One of the favorite attractions was the set of Blue Peter. Much like the set of Central Perk at Warner Bros, this set is non-working, but set up out of the way to show to tourists. 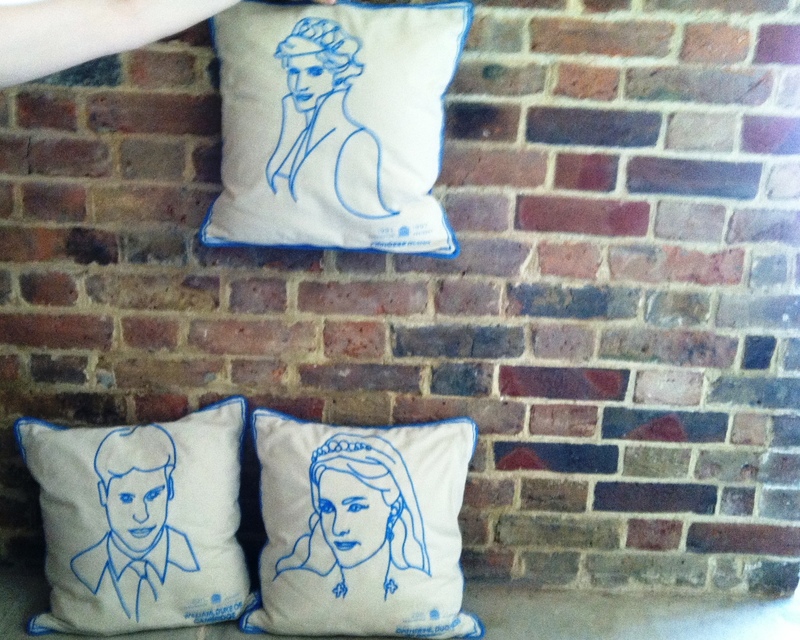 Apparently, Blue Peter is a long-running, much-loved children’s show that is a touchstone for all Britons. Our too-cool-for-school teenagers were falling over themselves to take photos and frolic on the set. 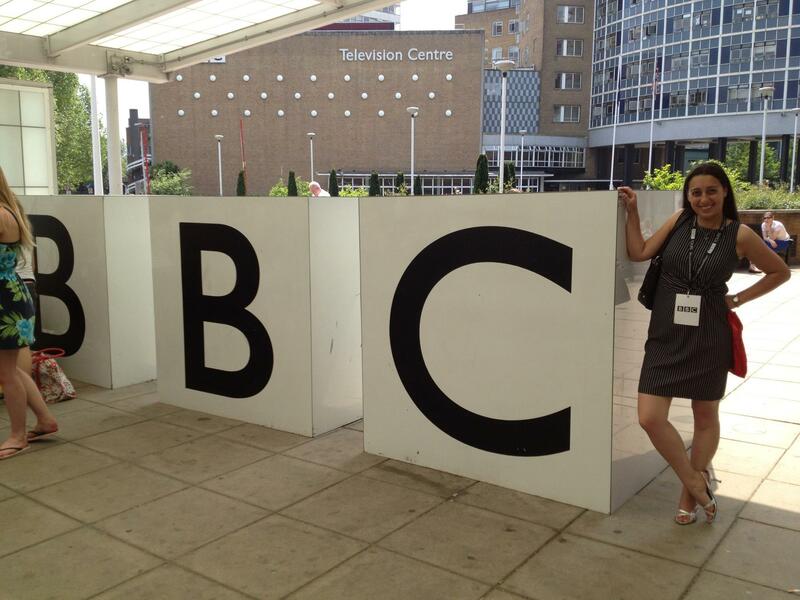 But my favorite part was the trip to the BBC News area. We sat in a conference room with a window the newsroom full of television monitors. I could have stayed there all day. It reminded me of my trip to CNN in Atlanta, only more awesome, but it’s the freakin’ BBC! Katia and I stopped in the BBC store to stock up on essentials. She needed some Jane Austen DVDs and I was dying to pick up the new Upstairs, Downstairs series, starring Mr. Neil Jackson. Our mission completed, we left the BBC and hurried to the Underground. 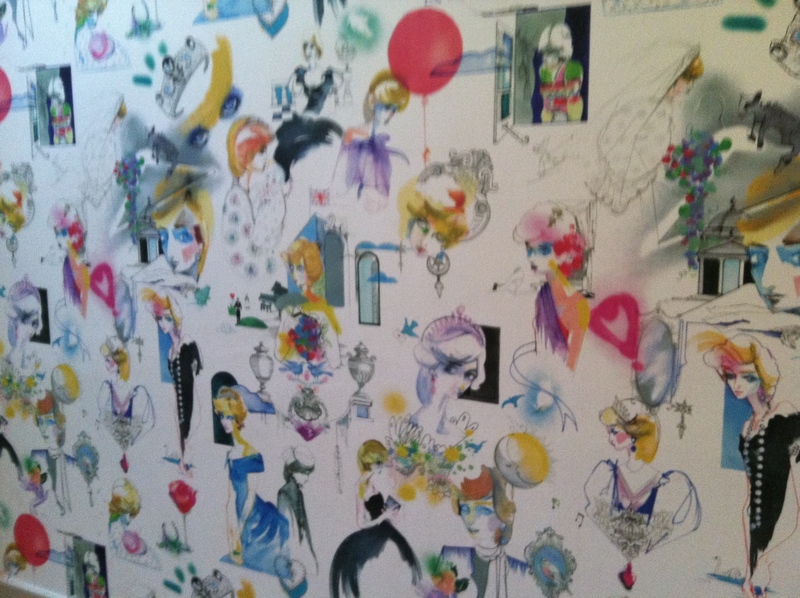 Adding another line to my list, we made our way to Knightsbridge for tea at Harvey Nichols. We were running late and ended up getting out at the wrong entrance, but thanks to Katia’s iPhone and everlasting patience, we were only about five minutes late. I had made a reservation for tea, but later had change the reservation to their Royal Afternoon NOT Tea in celebration of the Diamond Jubilee. The 5th Floor dining room was mostly empty, though I did get to see some real “ladies who lunch” finishing up their tea, which was delightful. I’ve only been to formal tea about twice in my life, both times confirming that I’m not as formal a person as I would believe myself to be. When the hostess place the napkin on the my lap, I knew this was going to be an experience. The blood orange cocktail was divine and the plate of treats was delicious! 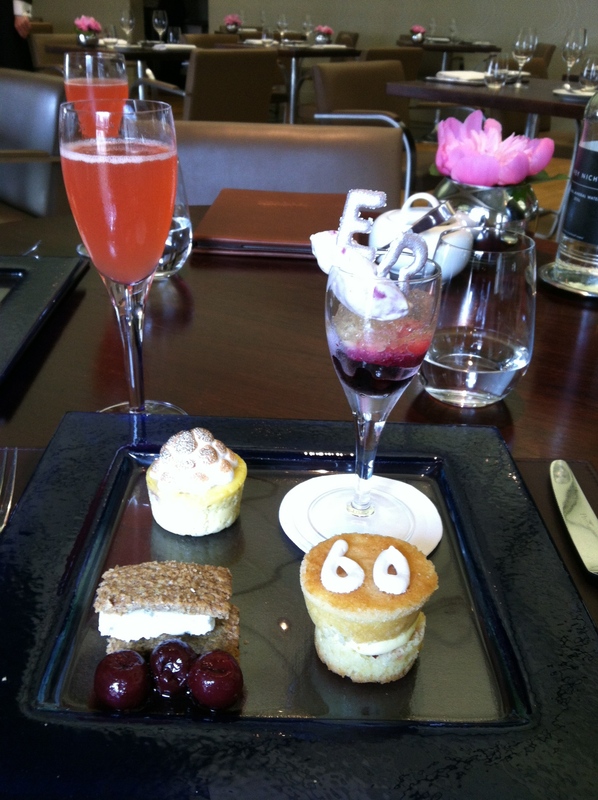 The cherries jubilee was my favorite and I could have easily eaten another two or three of those! The view from the restaurant was also exquisite and I’ll definitely be coming back for a proper tea when I visit London next. As we finished our NOT tea, the hostess brought our Jubilee gifts: a tupperware container with a chocolate cornflake treat inside. Apparently that kind of container is favored by Her Majesty for storing her cornflakes. After we left the dining room (and stopped in the bar to see that it was as awesome as we thought), we browsed the food shop, which was full of imported goodies. I was forbidden from taking any photos of the ludicrous prices by a Harvey Nichols employee, but I can report that if you want a small bottle of Aunt Jemima maple syrup, it will cost you £7.50 (about $11.60)! 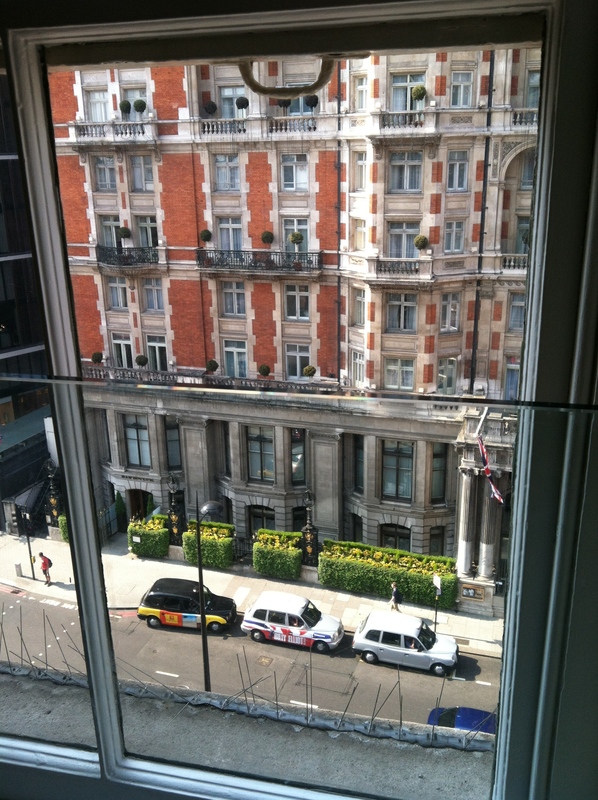 Sadly, we had to leave Knightsbridge without a chance to really explore, so it’s definitely on my list for next time. We grabbed the Picadilly line to Leicester Square for dinner at Jamie’s Italian. I’d only heard of Jamie Oliver from his show where he tries to make elementary school cafeterias healthy, but apparently, he’s quite the celebrity chef in Britain. The food was quite good and I was happy to be sitting down again, as my shoes continued to kill my feet. 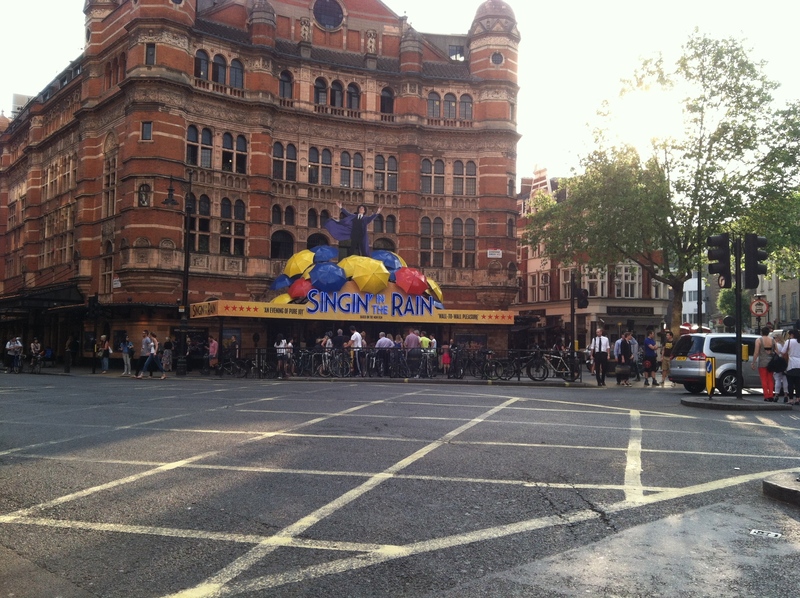 From there, it was a quick two blocks to the Palace Theatre for “Singin’ In The Rain.” The actors use American accents (mostly very well), which was jarring at first, but then felt completely normal. It had been a while since I had seen the film and I hadn’t remember how many of my favorite songs come from this show. The performers did a great job, but unfortunately, for me, the original is SO iconic that these actor came up a bit short. Beyond that, my only real complaint was the staging of Don and Kathy’s big romantic moment. It took place downstage and none of us in the balcony could see it. As someone around us remarked, they could have had the same conversation/kiss about three feet upstage and we would have all been able to enjoy it. Nonetheless, the title song brought the house down at the end of Act I and they actually make it rain inside. The dance is choreographed, so that every few steps, the actor kicks out towards the audience, flinging water at them, much like Sea World. One of the most fascinating parts was watching the crew squeegee and dry the stage completely during intermission (there’s no curtain for the stage). The crew got a hardy round of applause when they finished. The encore number was a full-cast version of the title song with everyone using FABULOUS silver umbrellas with different colors in the underside. They sell black umbrellas with the same colored underside and I nearly bought one as we left the show. Had they been selling the silver ones, I absolutely would have! After our lovely night at the theatre, Katia and I whisked our way back to Kings Cross on the Underground and caught the 2215 train to Cambridge. After a couple of late nights, it was wonderful to get back home around 2300, instead of leaving London at that time. The flat was hot, but buzzing insect free, so I felt good about our morning’s plan. I repacked my suitcase to make sure my souvenirs would fit and get things ready to go for my next day in Windsor. I fell into bed about 0045, humming “Singin’ in the Rain” to myself.